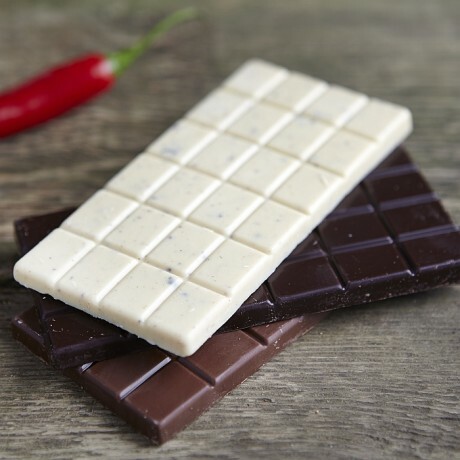 One each of our 3 Naga Chilli Chocolates. 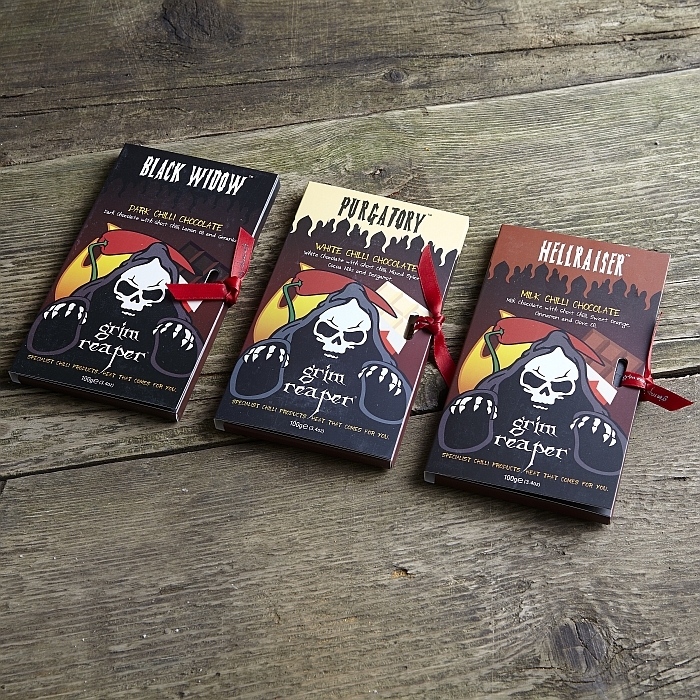 All 3 are handmade in England and 100g/3.5oz, in a glossy wallet tied with ribbon. This product is dispatched by Grim Reaper. This item has a shipping weight of 420g.